Family Law for the People is a public seminar designed to explain Maryland family law and court procedure to the public. The presentation is designed to be given throughout the state and is accompanied by a rich set of written and online resources. These resources help people decide how to proceed with their cases and how to get the help they need. All links from the presentation can be accessed from the Family Law for the People Links Page. Check this page and the legal clinic calendar regularly, to find and sign up for upcoming sessions. 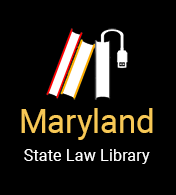 Family Law for the People was developed by the Family and Juvenile Law Section of the Maryland State Bar Association and the Department of Family Administration of the Administrative Office of the Courts – Programs, in partnership with the People’s Law Library of Maryland.